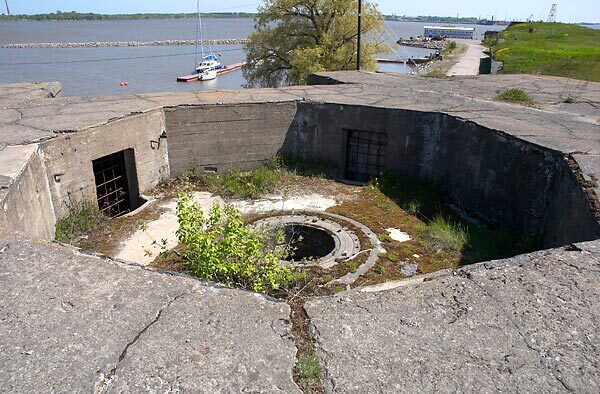 In the late 1940-x the battery was reconstructed for 130 mm universal artillery system B-1-13. 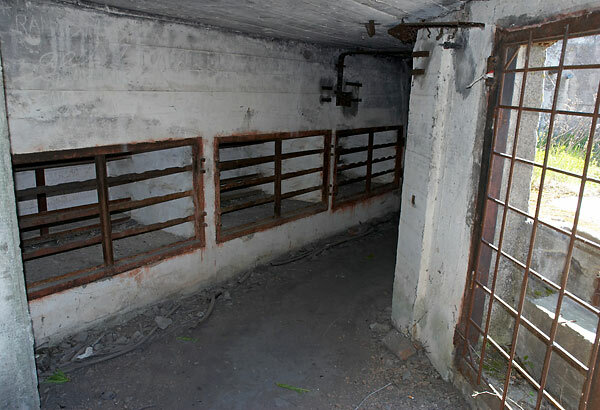 The round concrete galleries with ammunition delivery doors were constructed upon 4 old Canet gun emplacements. One of them is seen on the photo.